Since starting a blog in 2010, I have learned so much. When I first began, I knew absolutely nothing about blogging except just enough to go to Blogger and begin writing. I literally Googled, “how to start a blog”, picked the first entry THIS IS WHY SEO IS IMPORTANT and followed the directions. But my blog was basic. I mean that in the best possible way. 1- a personal website or web page on which an individual records opinions, links to other sites, etc. on a regular basis. Yes, blogs were meant to be a personal log, journal, entry. So who cares what your blog looks like to others. It most matters what it looks like to YOU. If you love it, the others will learn to love it as well. A few years ago, I started a board on Pinterest dedicated to all things blogging. I have said before that if my fellow bloggers went to this board and saw what exactly I was pinning, they would be shaking their heads. There is a lot I still don’t know but that is honestly what I love most about blogging. A new way to edit HTML, that is the language your blog’s alter ego speaks. A new way to add a button to your blog, the pretty little blog jewelry on the side of the blog. A new way to change up your header, that is the top part of the blog that has the name. Here is my board if you want to head there now and learn something new. Follow Kari @ A Grace Full Life’s board Everyday I’m Blogging on Pinterest. I have found some really helpful tutorials for people like me. People who in all honesty have no business running a public website yet here we are! Tutorials that read at a second-grade level so as not to confuse us. That is an insult to second graders everywhere because I am pretty sure they probably know more about adjusting the width on a blog than I do. So I have gathered my most helpful blogging tips from amazing bloggers all over the web in one place. Because I want to create a world where there are more bloggers than there are non-bloggers. 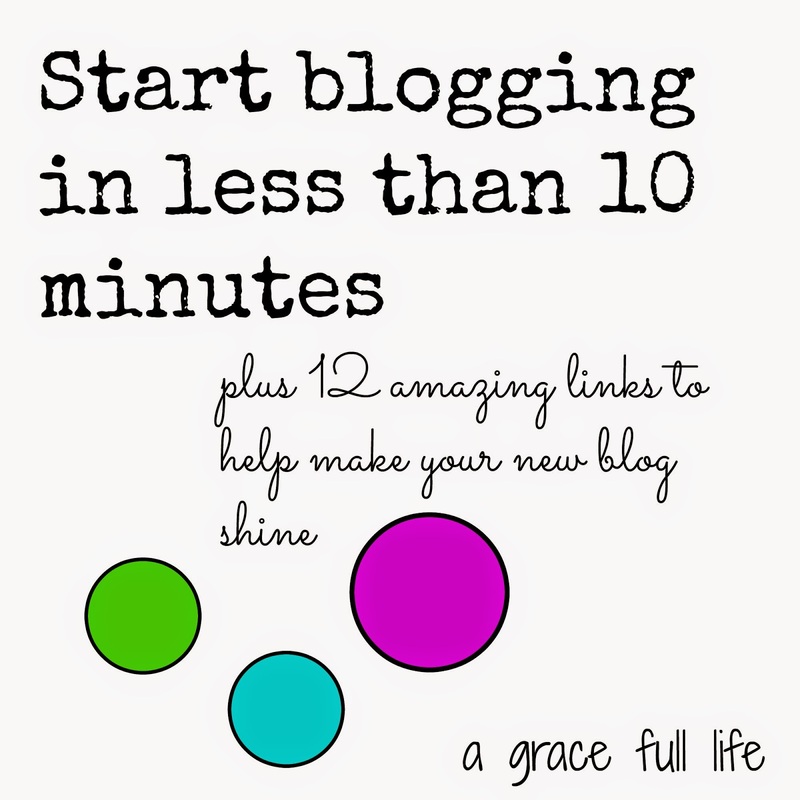 And these tutorials will help you create a supafly blog. Let me start by saying when I Googled “how to start a blog” four years ago, a lot fewer people were blogging back then. Now when I Google it, a lot of HOW TO MAKE MONEY BLOGGING WHICH DOMAIN YOU NEED TO BUY blah blah blah comes up. *side note- I am currently using the WordPress platform but that doesn’t change my opinion of Blogger. It’s a great platform to start blogging on. Here is my personal opinion: I like Blogger. I hear all the doomsday bloggers out there letting out a collective sigh. Because on Blogger, I don’t “own” my content. Which is owned by Google. Now, I don’t see Google going away any time soon and I have backed up my blog (tutorial will be included in this post) so I am not worried. But because I have written my blog with Blogger for the past four years, it is Blogger where my alliance lies. The first entry will be Google-Blogger. If you already have a Google account, half the battle is mounted. If not, you will need to create one. The hardest part for me was coming up with a blog name. In fact, before you even Google “how to create a blog”, figure out your blog name. I originally wanted to call my blog Ducks in a Row. But I Googled Ducks In A Row and found two blogs and four small businesses with that name. That’s a heck of a lot of ducks. So I gave it some thought and after a few days, I had this brainstorm. My girls’ middle names are Grace. Our life is very FULL. I ran to the computer and Googled it. I immediately named it and boom, my blog was live. Now you will want to learn how to write a blog post, add pages (those tabs at the top up there that says things like About Me or Contact), go here to learn how to do all of those things and more. So now you have a blog! All you need to do is add the words. But if you are looking to make your blog a little prettier on the eyes, follow these amazing tutorials below. Whether you are creating a public blog or a private one, an About Me page is nice to have so that your readers get a sense of who you are before even reading your words. If you want to make money, this is a key player on your blog. It should reflect who you are so that businesses will know what you represent. Otherwise, you will be getting emails from Nigeria asking for a million dollars. Or from companies asking for free publicity. You don’t need a degree in web design to create a cool header. A header is where your blog name will be and it doesn’t just have to be words and a tan background. Unless that is your thing, then you have one less tutorial to read! It is free, easy, and can be done in the same amount of time you do a small load of laundry. Head here to read how to create a header that will be the envy of all. This is the header tutorial that helped me create mine. If it can help me, it can help anyone. Blogger is a great platform but when you start, your space can look a little sad. This tutorial is geared toward Blogger exclusively and is the tutorial that helped me get rid of my old About Me paragraph on the sidebar. That is the space to the right of the posts on my blog. Sidebars, by the way, can be on the left, right or on both sides depending on your taste. But you will find that out if you follow the tutorial all the way at the top when you start your blog. I didn’t know how to do this for the longest time. That is the only reason I am including it. Because everyone was able to do it but no one was willing to share how. According to the doomsday bloggers, Blogger is going to run away in the night with your blog. I got a backup plan. Click above to get yours. I just did this last week! I love it so much and it took me five minutes. When your readers get to the bottom of the page or the middle for that matter, they can press this floating button and BOOM. Look at you creating a supafly blog!!! This is my all time favorite post. I learned so much from this blogger and I have her to thank for getting my blog FINALLY to where I absolutely adore it. It is a way for your blog to show up first in search engine, well, searches. And that is good for page views. Now, if you are wanting to create a personal or family blog, you can skip this. I wrote this tutorial last year in hopes of helping others. These tips are usually not talked about on blogs or tutorial blogs. Like a mod podge of information packed into a single post. And there was some controversy as well. So now you HAVE to read it. 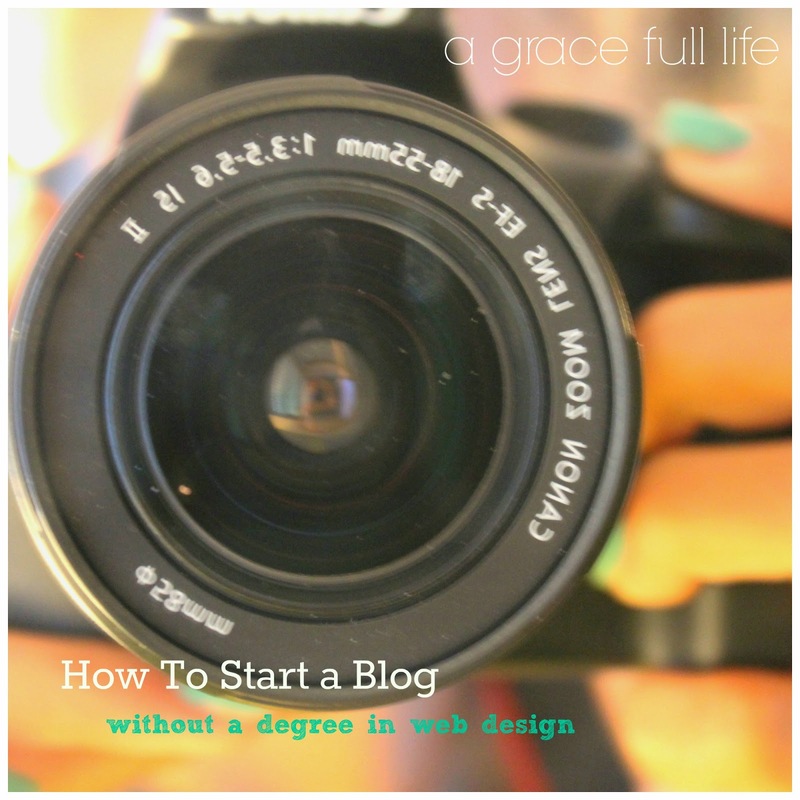 You have a blog, now what? There are millions of writing prompts out there but this one looks pretty cool to me. Especially if the blog you are starting is a personal blog or one you want to leave as a legacy to your children. I hope this helped you a little and if any of you decide to start a blog, please leave a comment! I would love to go visit your new supafly blogs! Wait! I don't own my content? Do I know what that means? Am I qualified to have a blog? I must read this post in segments so my head doesn't blow up all at once (seriously though, that could be just my sinuses talking) So much good info…so embarassed that I am still rocking stock template stuff over 4 years in…..Flat Kari will help me, right? Um, I think it's spelled M-O-D-G-E P-O-D-G-E.
Actually, I need to figure out some things about my blog, and I am over the moon that you complied this pretty, pretty pile of tips and helps. Thank you for saving me! I feel like I trust your judgment, and this showed me that some things need to change on my blog. Like I need a better About Me section in my sidebar. And some pretty buttons instead of my mod podge of random "Find me here" ones. And Blogger rules. Just in case anyone's asking. To try and please me. It is TOTALLY MODGE PODGE. Dude, I was JUST thinking about this today – about doing a bunch of blogging posts and then a collective ALL ABOUT BLOGGING post. Because obvs I am a total blogging professional. We are of one mind. Its like we are living PARALLEL LIVES. I just used a big word. When are we starting our food eating blog? For a price, I will write your posts for you. OMG I KNOW WHAT I WANT TO BE WHEN I GROW UP!!!! I wanna marry you and have your babies for writing this!! TREMENDOUSLY helpful!!! I can't wait to come back later and read it and put things into practice. I swear I thought I was the only person left using Blogger. It is this myth that EVERYBODY is on WordPress. I am glad this helped!! I love this so much! Thank you – I thought I was one of the only ones using Blogger. The tips are awesome, especially how to embed a tweet. You rock! Thanks for all the tips and information. I pinned this so I can refer back to it. There is so much to know about blogging and building a website and it all takes time and patience to learn. I had no idea how to do that until last week when I found it on Pinterest! But there are so many people who want to help. I hope these links help you and please come back and let me know if you have any questions! THANK YOU for sharing my post and saying such AWESOME things :). I am so glad my post helped – and your blog is GORGEOUS! And I feel like I should pay you for all of the tips. Or take you out for tacos. I could spend all day on Pic Monkey. You needed to write this post 8 months ago! So glad I found it though (through Pinterest! ), thank you for the tips! Do you have a post regarding adding rss subscription service to your blog? That is for a Blogger blog. HELPFUL! I had no idea when I started. 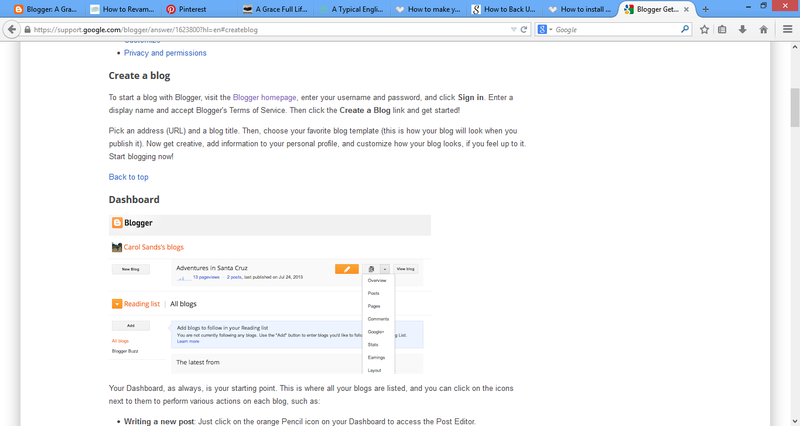 I just went to Blogger and started one. Then I went to WordPress out of curiosity and was lost so I gave up. But I did move there 3 months later (what, I was enthusiastic). Thanks, I will go take a look! If I had started at WordPress, I think I wouldn't have left. But I have so many posts to transfer over now.